We do not have puppies available at this time! 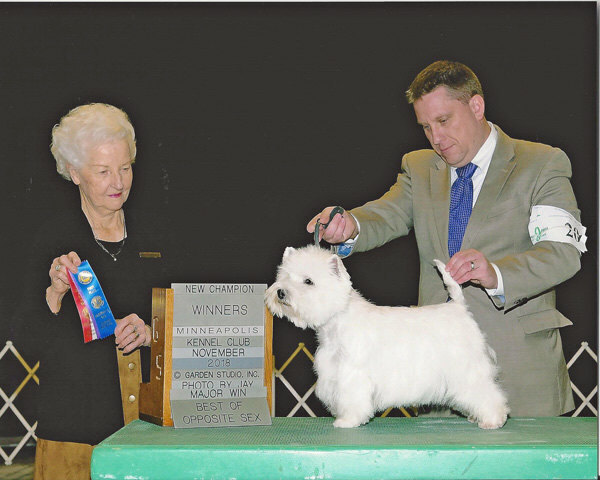 Czarcrest Westies celebrates it's 58th Champion - CH Czarcrest's Take A Look ("Tessa"). 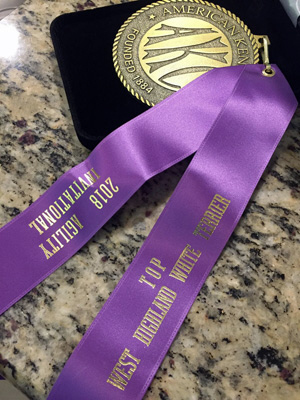 Congratulations to Karen and Chuck Valerio on this accomplishment and for letting Tessa reach her potential. Thank you to Courtney Kniola and Tony Vacca for the excellent presentation of our girl. 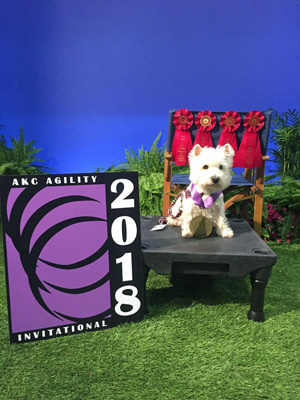 CH MACH7 Czarcrest's Bonnie Wee Blue Angel VCD1 BN RAE TDU MXB3 MJC2 XF ME CAA BCAT RATCHX4 TKN ("Bean") wins Top Westie at the AKC Agility Invitational in Orlando, Florida on December 16, 2018! CH Czarcrest's Blue Without You OA AXJ ME RN CAX CGCA CGCU TKN RATCH ("Pixie") earned her Master Earthdog title at the Central Iowa Dachshund Club in Adel, Iowa on November 3rd and earned her first Endurance Earthdog leg the next day at the Greater Omaha Terrier Association tests. 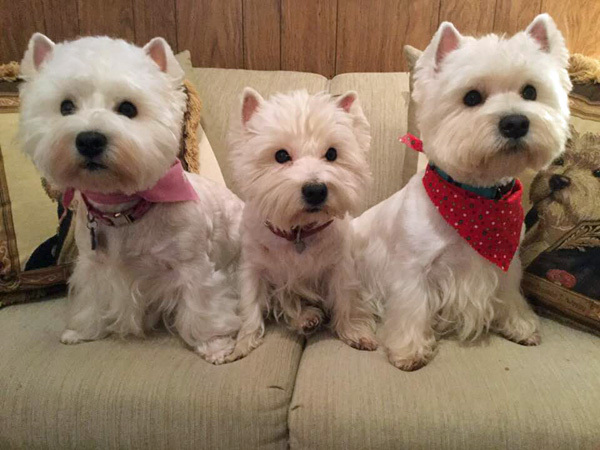 Pixie recently received the Versatile Dog and Versatile Dog Excellent awards from the West Highland White Terrier Club of America. She also finished 5th in the Most Versatile Dog in Specialty competition, in a field of 35 dogs who qualified in 2 or more events. 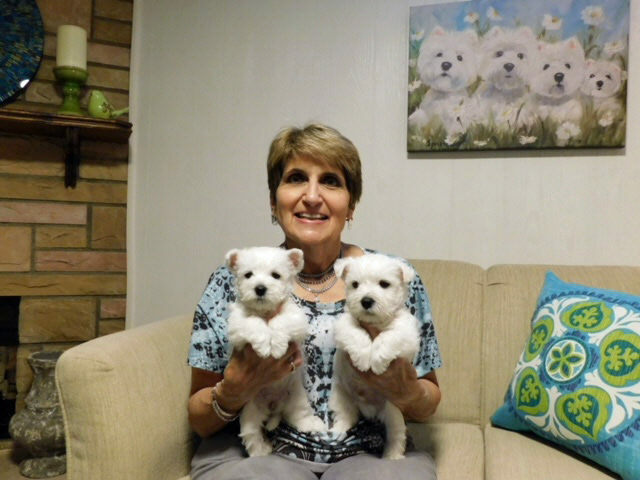 Pixie is owned by Susan Chapman and Michele Czarnecki. 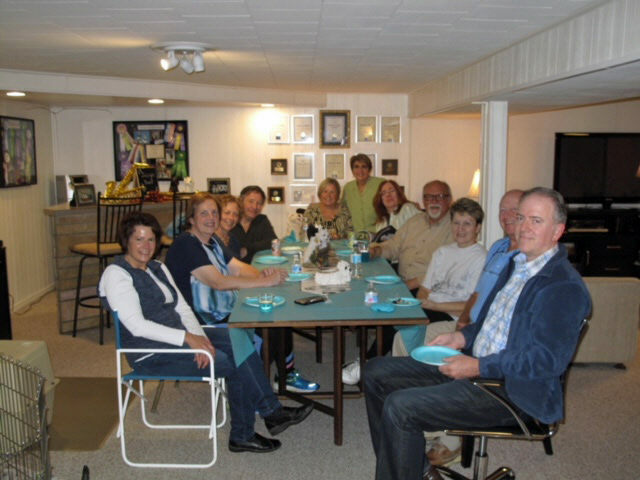 Also attending were Teri and Mike Crouch, Susan Jenkins, Gail Nottenburg and Mark, Barb Roman, Diane and Brett Searle, Dr Mary Ann Sheller, and Carol Walker. 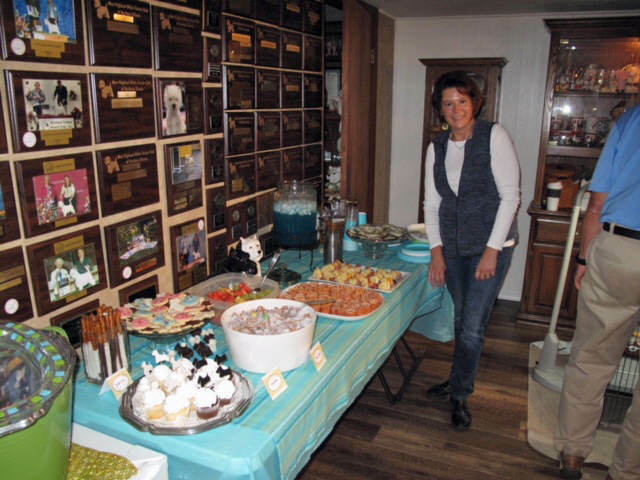 Special thanks to Diane Searle for orchestrating the table of food and drinks, which was enjoyed by everyone. 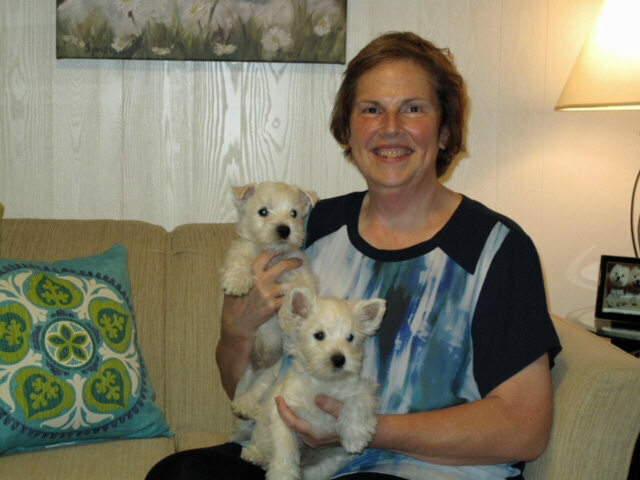 Richard, Susan and Michele evaluated each puppy and then Dr Sheller gave her perspective on what she looks for in a healthy puppy. It was a fun and educational afternoon, with plenty of good food, great conversation, and of course, five adorable puppies! Karen Valerio forwarded these pictures of two major wins for Czarcrest's Take a Look ("Tessa") from earlier this year at Medina Kennel Club. Tessa's Sire is CH Czarcrest's T-C Four On The Floor and Dam is Czarcrest's Look of Love CD BN RA AXP AJP NFP CZ JE RATS. 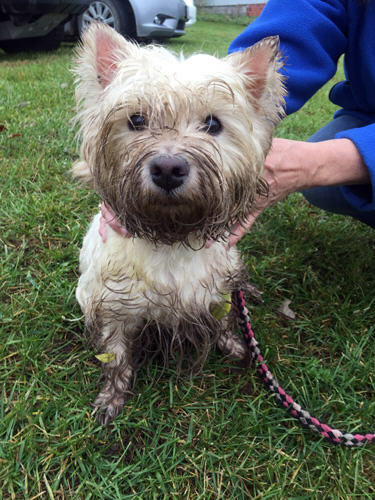 Tessa is owned by Chuck and Karen Valerio and Michele Czarnceki. 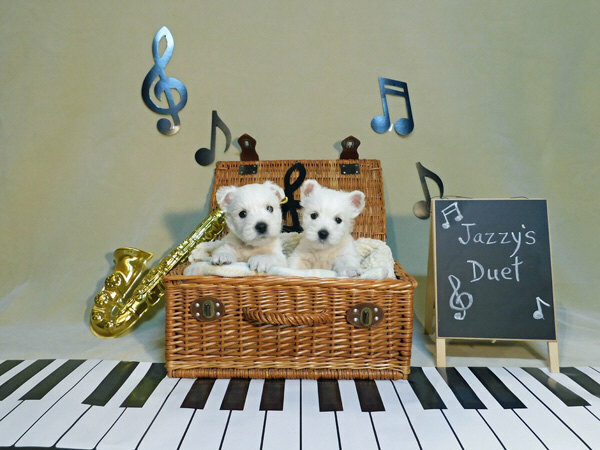 Jazzy's Duet born June 30, 2018. 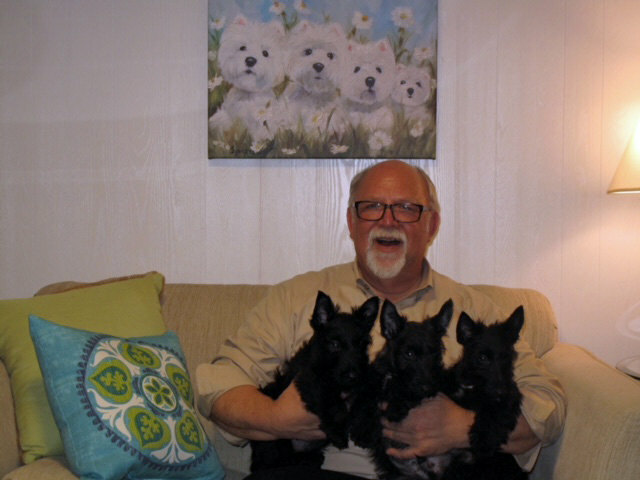 Sire is CH Czarcrest's On the Lookout ("Bryce"), Dam is CH Czarcrest's Blue Jasmine ("Jazzy"). 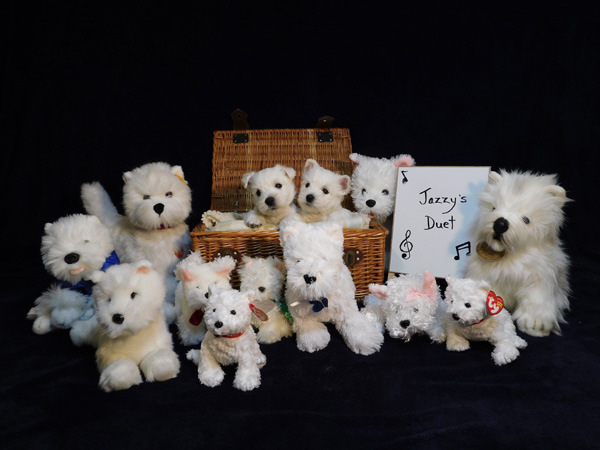 Thank you to Theresa and Mike Hawryszkow for all they did for Jazzy's puppies! A special thanks also to Carol Walker for her hard work with the props and staging for this photo shoot. How Cute! 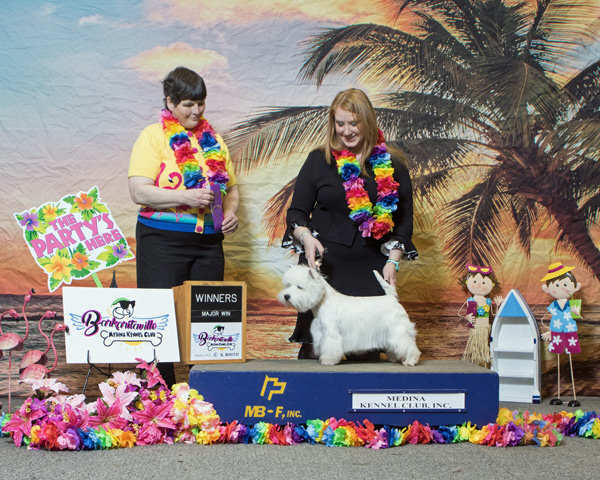 CH MACH7 Czarcrest's Bonnie Wee Blue Angel VCD1 BN RAE TDU MXB3 MJC2 XF ME CAA BCAT RATCHX4 TKN ("Bean") earned her Master Agility Champion 7 on August 11 at the Scott County Kennel Club in Davenport, Iowa. 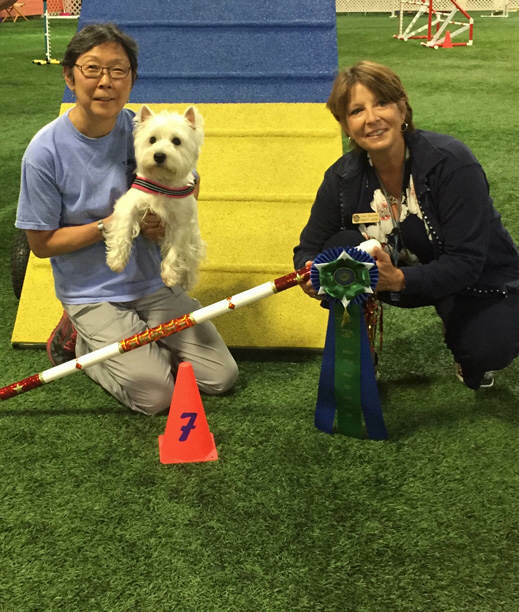 Bean qualified for the 2018 AKC Agility Invitational, ranked as the #4 Westie in the country. CH Czarcrest's Cure For The Blues UD GO RE MXP OJP OFP ME EE2 RATM ("Curtis") earned the Master of Versatility Award from the West Highland White Terrier Club of America. 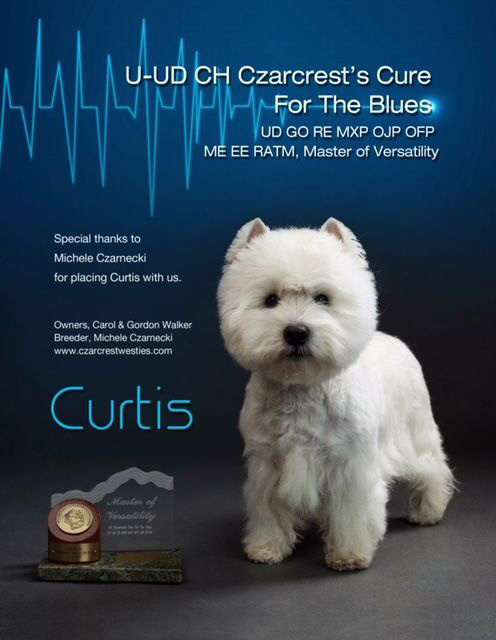 Owners Gordon and Carol Walker are very proud of Curtis and his accomplishments, and extremely thankful to breeder Michele Czarnecki for placing this special boy with us. 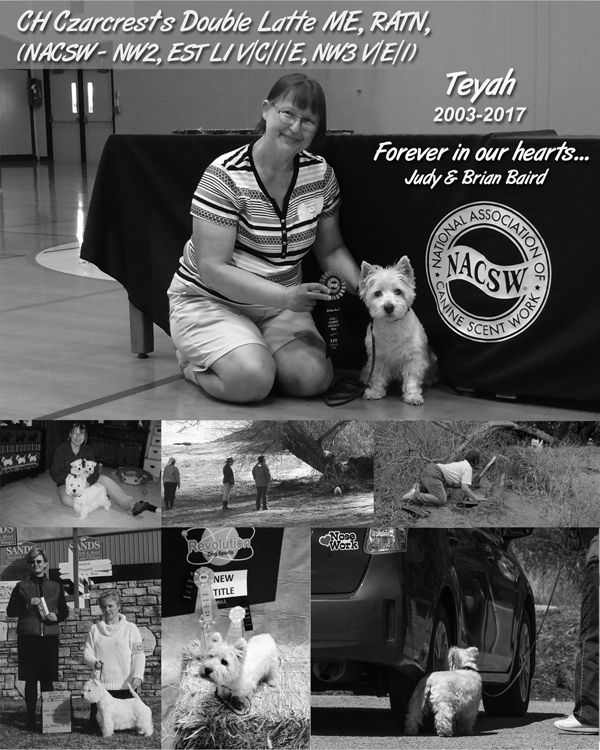 On April 9th, 2018, Michele Czarnecki, Czarcrest Westies and the Westie world lost a great friend and advocate for our West Highland White Terriers. 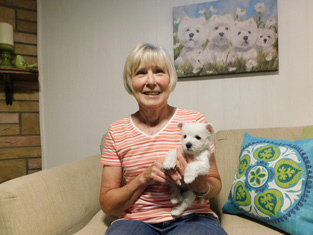 Judy Baird has been a friend and co-owner for the past 18 years and has owned and titled 10 of my dogs. I will miss her tremendously and will never forget her. Judy fought hard but lost her battle with cancer. Rest in Peace Judy. 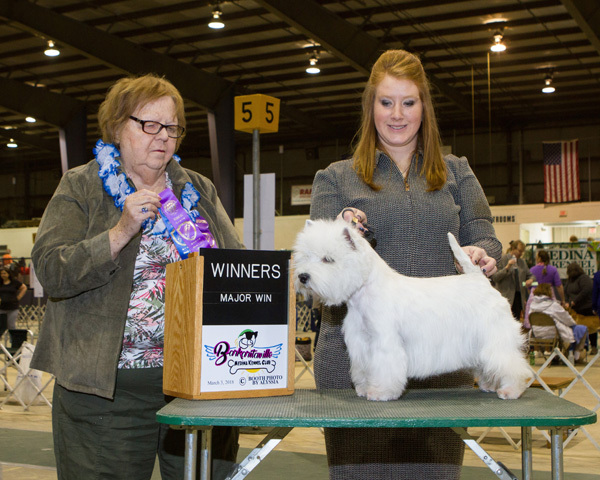 Susan Chapman writes "Blue was my once in a blue moon dog, a bred-by Champion, winning Best of Breed at Montgomery in 2005 with his co-owner Michele Czarnecki. 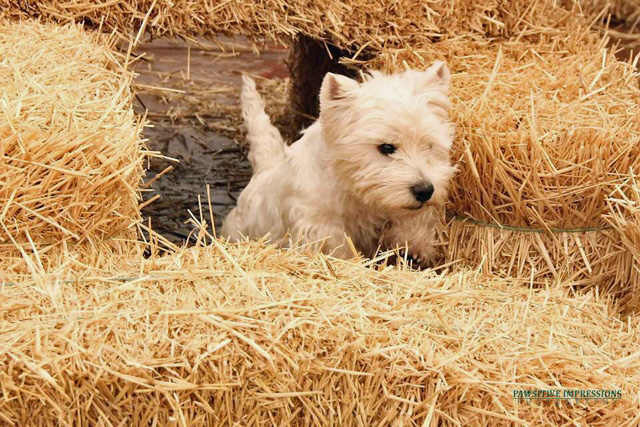 He loved the Rat Hunt, earning Master Earthdog and Barn Hunt Champion titles, as well as Tracking, Rally, Obedience, Agility and Coursing titles." 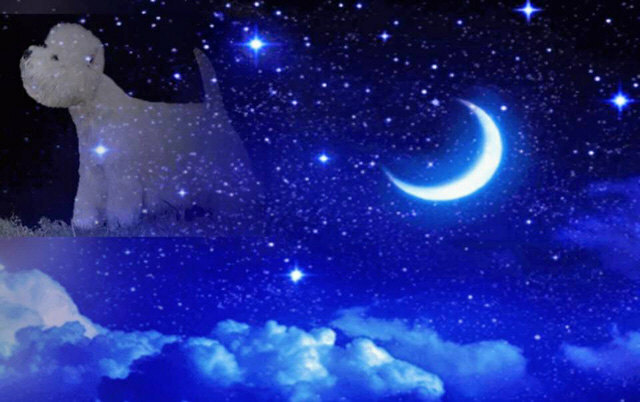 RIP Blue! Three generations - from left to right: grand daughter CH Czarcrest's Blue Jasmine ("Jazzy"), grand mother Czarcrest's Hero's Hope RE AX AXJ OF ME EE ("Hope") and daughter CH Czarcrest's True Blue RA CAA NAP ("Trudy"). 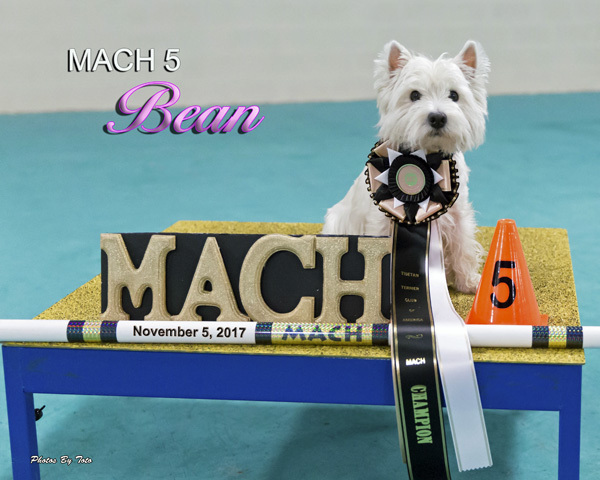 CH MACH5 RATCHX3 Czarcrest's Bonnie Wee Blue Angel BN VCD1 RAE MXG2 MJS2 XF ME CG TDU CAA ("Bean") goes on by earning her 5th Master Agility Championship (MACH5)! 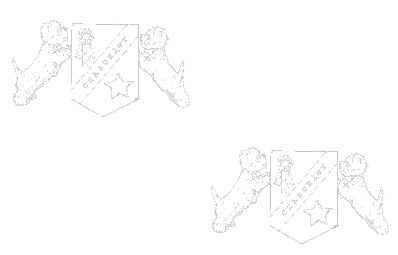 Please visit the Czarcrest News Archives for previous Czarcrest News.